Euro rebounded from level of 61.8% and started growing up. During local correction, I opened buy order with stop at local minimum. Possibly, market may reach new maximum until the end of this trading week. At H1 chart we can see, that price reached level of 50% and started new correction. In the future, pair is expected to start new ascending movement towards level of 61.8%. If later market breaks it, pair will continue growing up. 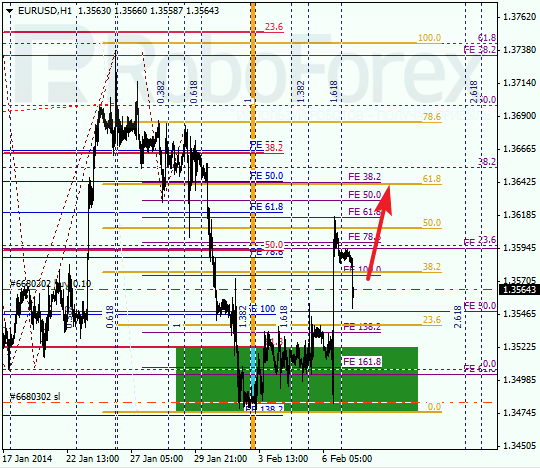 Franc also fell down a bit, and I decided to move stop on my sell order closer to local maximum. During the next several days, market may continue falling down. At H1 chart, pair rebounded from level of 78.6% twice and started falling down. 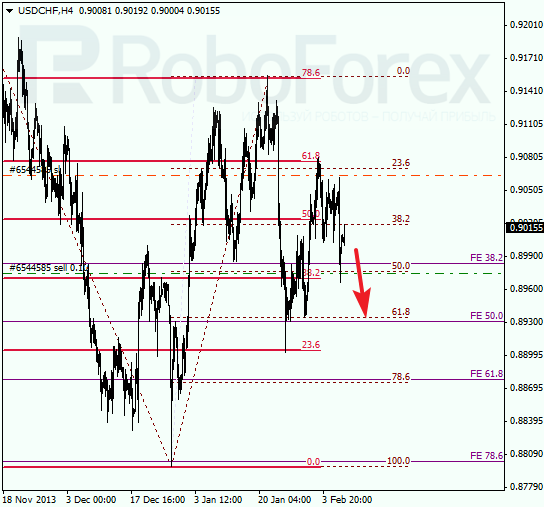 After completing local correction, price is expected to move towards its intermediate target at level of 0.8950. If pair breaks it, market may continue moving downwards even faster.